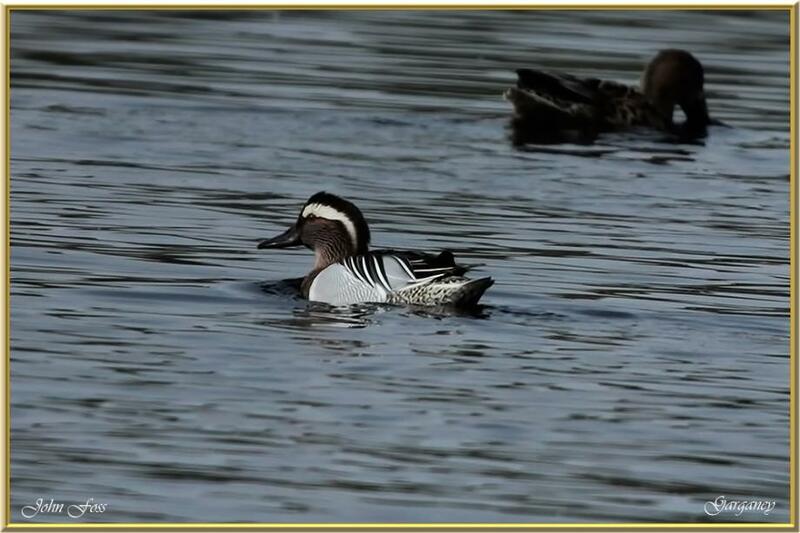 Garganey - A small dabbling duck. The male is easily identified by the broad white crescent over the eye. They dabble feed on insects and plant material. Scarce in Britain and Ireland. I came across this one on the sewage works in Vilamoura reed beds in Portugal.